Enjoy better comfort, cleaner indoor air, and ultimate energy efficiency. 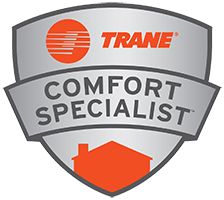 Always feel comfortable.Better home performance means better comfort. How can you improve comfort at all times of year? By helping your home perform to its fullest potential. At PV, we address the insulation, air leakage, and air quality issues that affect your comfort. Take control of HVAC.Manage AC, heat, and humidity the right way. Fully functional HVAC designed to fit your home – that’s how to stay comfortable in every season. At PV, we install and service all types of air conditioners, furnaces, and heat pumps. Save money each month.Use less energy and keep the planet green. Let’s lower those energy bills! PV’s whole home assessment reveals your best opportunities to improve energy efficiency, all the while making your home more comfortable. A barrier that seals out moisture, insects and mold spores. Stay comfortable and save energy by improving your attic insulation. Quietly efficient AC units or Heat Pumps handle the hottest days. Long-lasting furnaces and Air Handlers keep every room toasty. Reports and energy models that prioritize improvements and translate the "technical" into "layman’s terms". Did you know that gas appliances can emit carbon monoxide? PV will detect any and all risks. Identifying the air leaks in your home that cause discomfort and poor indoor air. We certify your safety by ensuring all gas appliances are venting the carbon monoxide (CO) outside. This isn't just HVAC. This is science. Building science, to be exact. When PV visits your home, we’re not just looking for AC and heating problems. Our team helps you improve HVAC system performance, reduce energy consumption, and improve indoor air quality. And when you do need an equipment repair, we’ve got you covered. Quality installation is key to long-term performance. Enjoy Atlanta's highest quality HVAC installation. At PV, we perform detailed calculations to determine the right size HVAC system for your home. Then we install brand new equipment and test performance with a rigorous quality control audit. Have confidence in the long-term performance of your HVAC system. PV’s service agreements are the best in Atlanta. Enjoy two top-to-bottom inspections per year, discounts on parts, and $0 service charges. With a service agreement, you also get priority status. In the event you do have an issue, we’ll visit your home first. System not running? Get it fixed properly – and soon. When you need AC, you need AC. When you need heat, you need heat. We get that. Our highly trained HVAC team will visit your home, diagnose your HVAC problem, and repair your system as quickly as possible. That way, you can feel comfortable again. Like a doctor’s physical for your home, a whole home assessment reveals air leakage, heat loss, and ductwork issues. Our assessments also include indoor air quality analysis, combustion safety checks, and a prioritized list of action items. Breathe easier indoors and reduce airborne allergens. The air inside most homes is contaminated, but it doesn’t have to be. By circulating fresh air, removing humidity, and installing equipment that removes allergens before they enter your lungs, we help you breathe clean, healthy air inside your home. Reduce your home’s energy consumption, so you feel more comfortable and save money. By identifying spots with inadequate insulation and significant air leakage, we can target “problem” areas and improve your overall comfort. At PV, we install fiberglass and cellulose insulation and air seal gaps and cracks throughout your home. Reduce humidity and breathe easier with on-demand dehumidification. Does your home ever make you sweat? Even when you're running your air conditioner? Summer in Atlanta is humid, but a whole-house dehumidifier removes excess moisture when your AC can't keep up! A drier space also means fewer indoor allergens and healthier air. Get a long-lasting, energy efficient water heater you can depend on. Let’s determine the best water heater for your home, your needs, and your budget. From traditional gas or electric tanks to heat pumps and tankless units, we’ll help you select the best option. We’ll install it, too. Need HVAC service or an estimate? Our assessment is like a doctor’s physical, but for your home. Using special equipment (and a whole lot of specialized training! ), we identify opportunities to reduce energy use, optimize HVAC performance, and improve indoor air quality. Together, we review your assessment and prioritize action items for maximum impact. We’ll also help you decide which upgrades best fit your budget – and address your goals for better comfort, healthier air, and energy savings. Here’s where we perform all requested upgrades using only the highest quality products and code-compliant practices. We can even help you finance the total cost! Energy savings over time can help you recoup your investment. After completing your home enhancements, we come back and audit our work. Depending on the improvements, we perform various tests and measurements to ensure long-term performance. You might even qualify for up to $950 in rebates from Georgia Power! "PV Heating and Air is for my husband and me, synonymous with “peace of mind.” We have had nothing short of fantastic experiences with their..."
"I've used many contractors over the years, and I think my experience with PV was the best I've ever had. We have a condominium that has a very..."
"I highly recommend PV Heating and Air. Everyone from the company exceeded our expectations. Our AC stoped working on a Sunday evening and we were..."
"Team was very responsive and did a great job fixing our heater. 4 hr turnaround is fantastic, when given an emergency situation is awesome.. Kudos..."